Though West Virginia was founded for the purpose of remaining loyal to the Union, severing ties with Virginia, home of the capital of the Confederacy, would prove difficult. West Virginia’s fate would be tested on its battlegrounds. 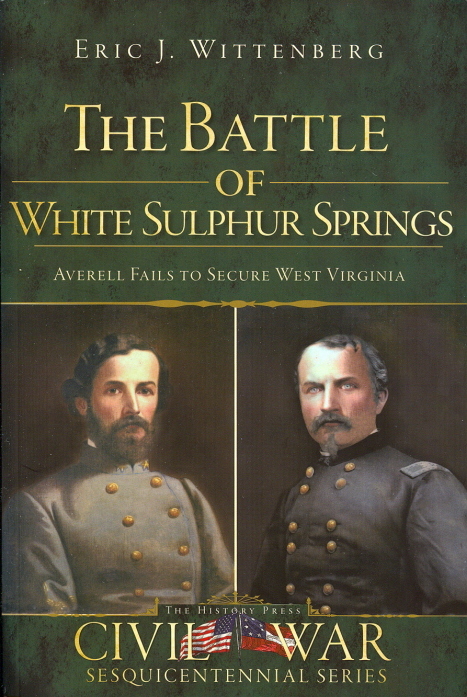 In August 1863, Union general William Woods Averell led a six-hundred-mile raid culminating in the Battle of White Sulphur Springs in Greenbrier County. Colonel George S. Patton, grandfather of the legendary WWII general, met Averell with a dedicated Confederate force. After a fierce two-day battle, Patton defeated Averell, forcing him to retreat. Civil War historian Eric J. Wittenberg presents a fascination in-depth analysis of the proceedings in the first book-length study of this important battle.